The vintage look is a current fashion trend which adds to the ethereal beauty of the brides and bridesmaid dresses. 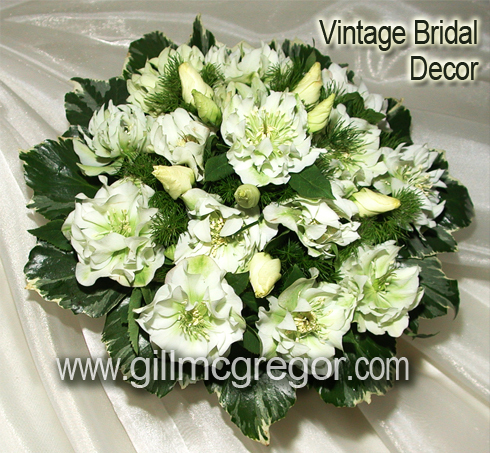 Soft, muted traditional flowers delicately arranged add to the wonder and romance of a wedding. If you are considering making your own vintage bridal flowers or want to make vintage themed wedding flowers for friends, family or clients this one day special wedding course will teach you to make: a vintage rose buttonhole, a decorative vintage corsage, a vintage bridal posy for a bride or bridesmaid and an elegant vintage bridal spray. This fun, hands on course will teach you how to create the vintage look for bridal designs for that special wedding day.